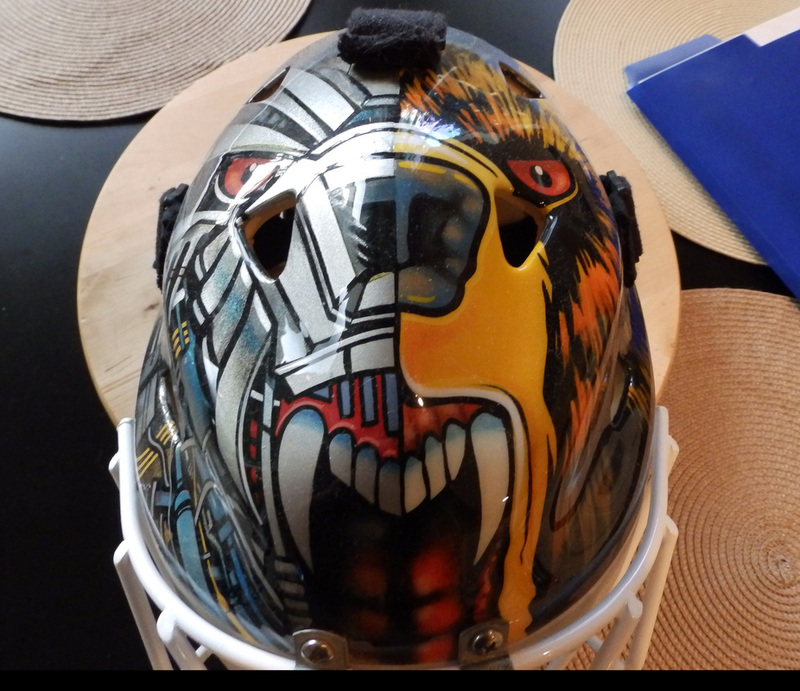 ﻿Jim Carey had this mask designed for him by Dom Malerba to use in the 1997-1998 season. 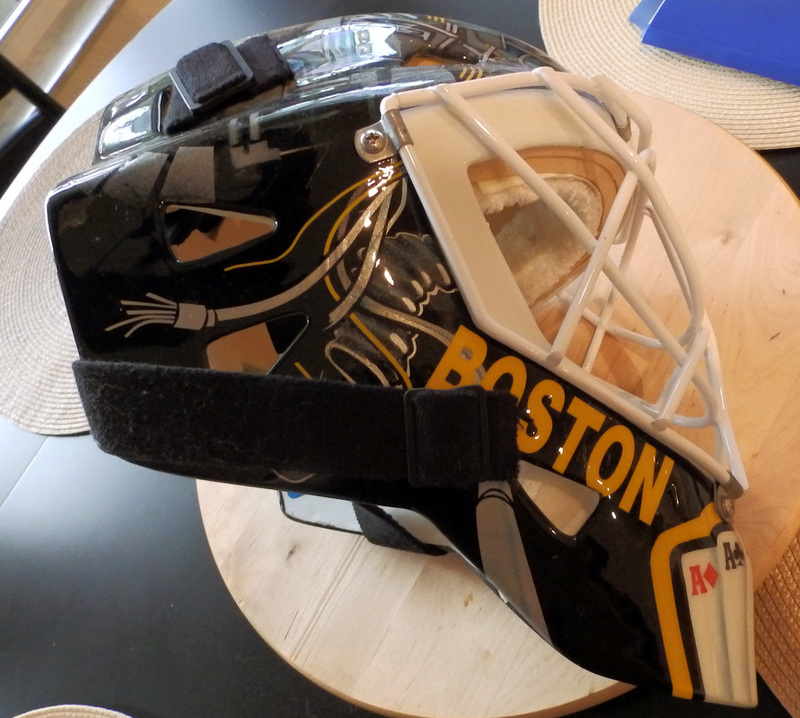 Unfortunately Carey only played 10 games for the Bruins; he was traded midway through the season from the Washington Capitals to the Boston Bruins in a blockbuster deal. 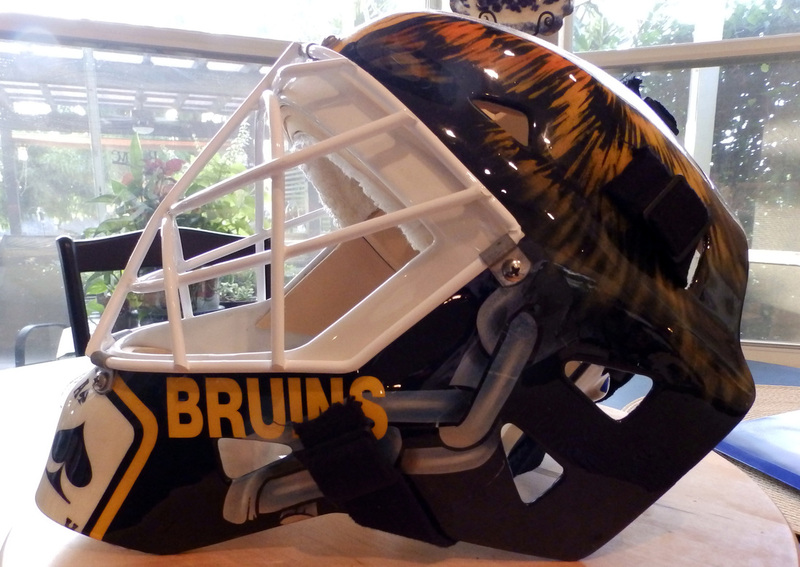 Carey would never find his true form again in Boston and was sent down to the minors a year later with the Providence Bruins in the AHL. 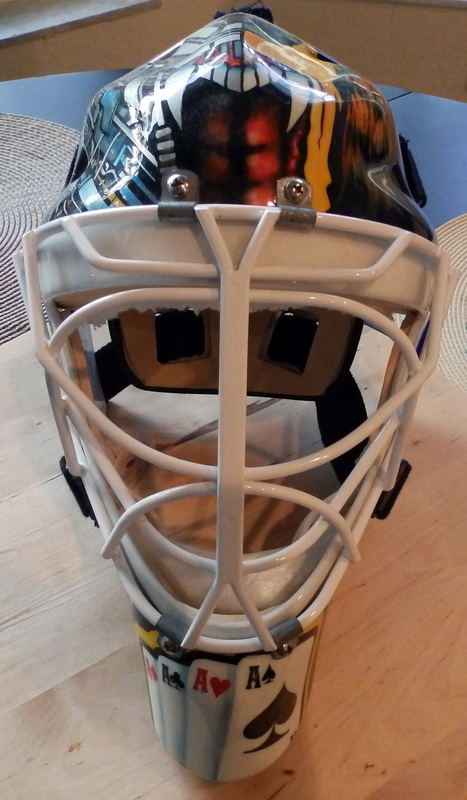 Carey signed on as a free agent at the end of the season with the St. Louis Blues and played four games before deciding he had had enough of hockey. 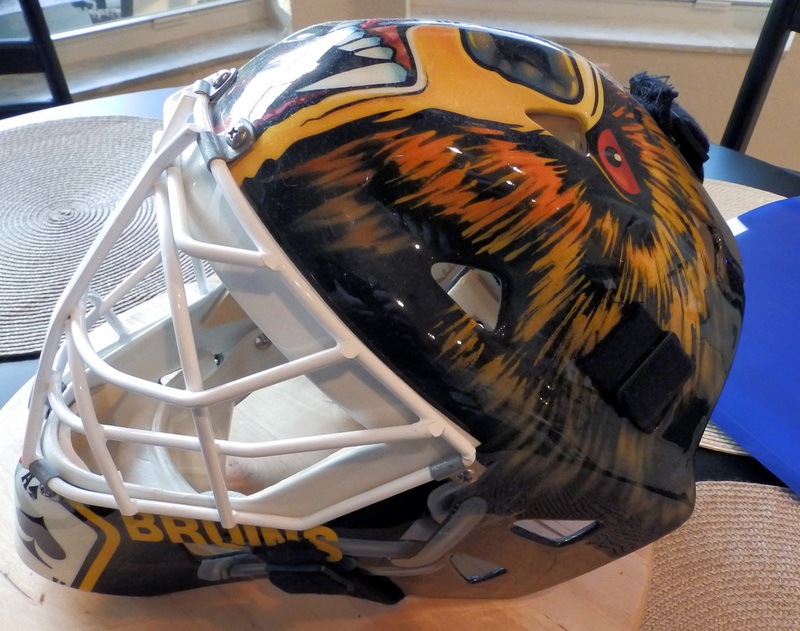 Interestingly, there are some design components of this mask (such as the toothed bear on the top) that are very similar to the current design worn by Tuuka Rask. 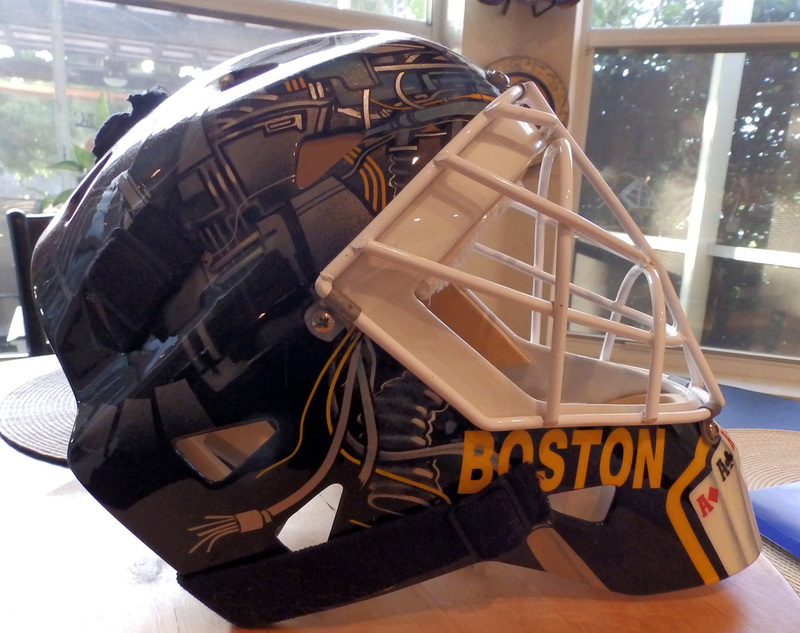 Rask's masks are also designed by Dom Malerba at Pro's Choice. 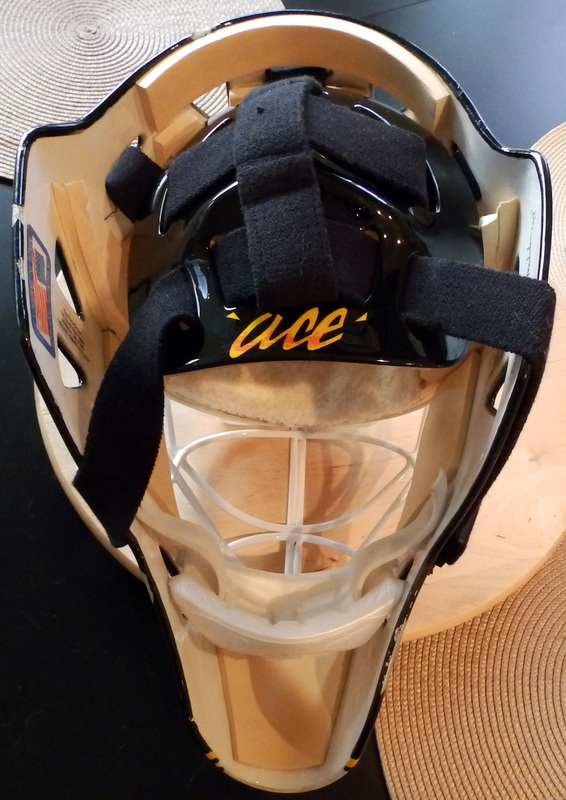 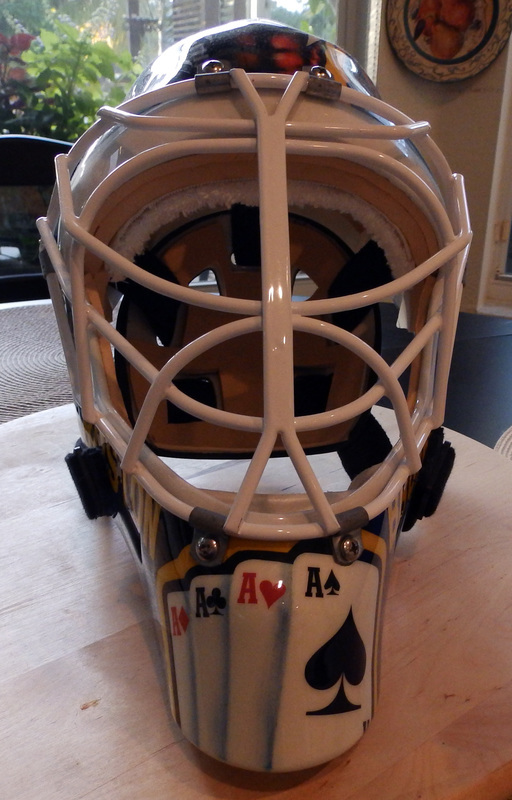 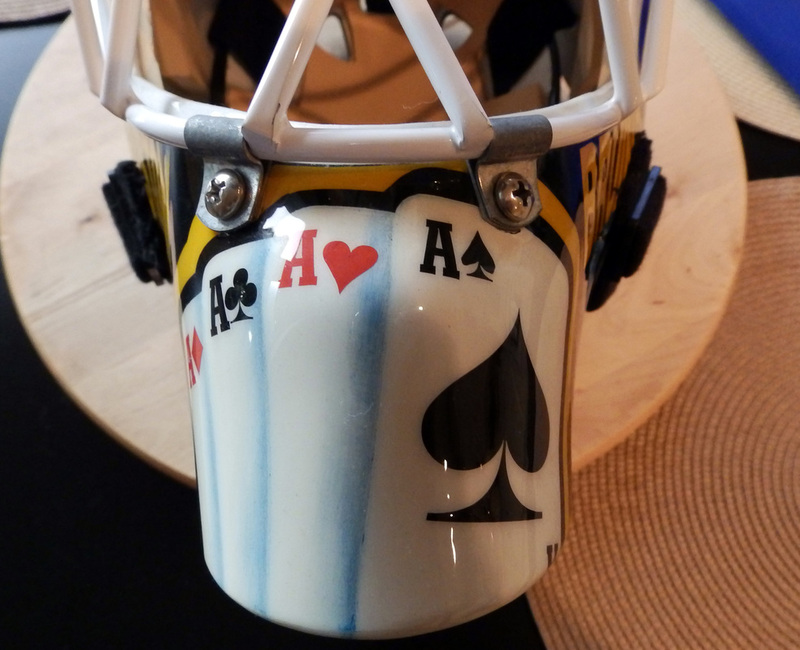 Also prominent in the design is the trademark "hand of aces" clearly displayed on the chin of the mask.